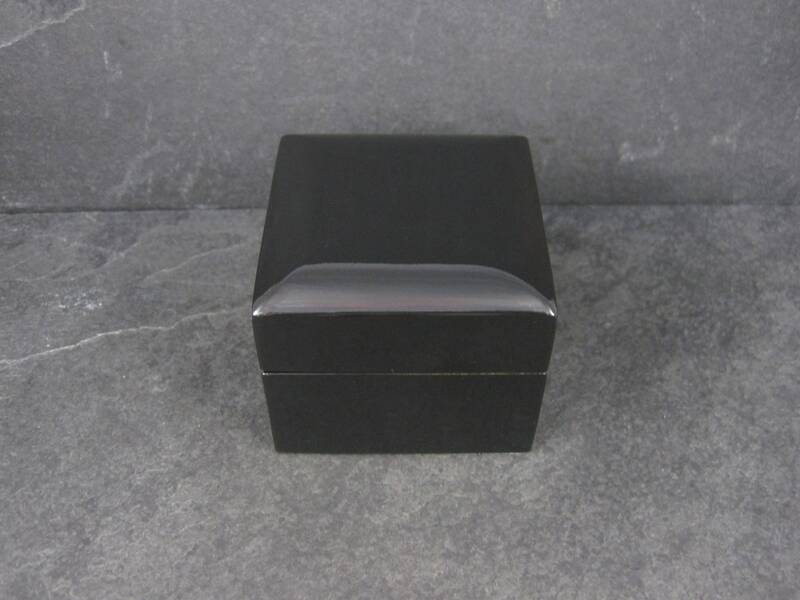 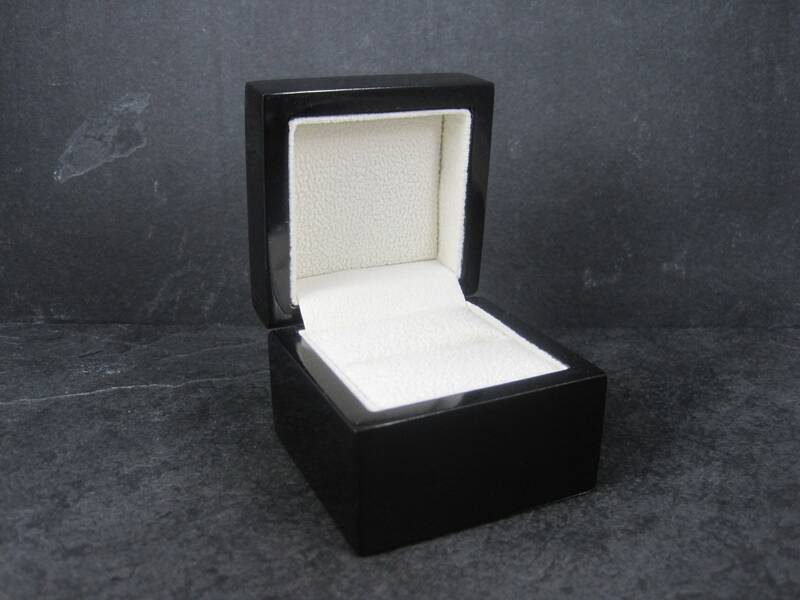 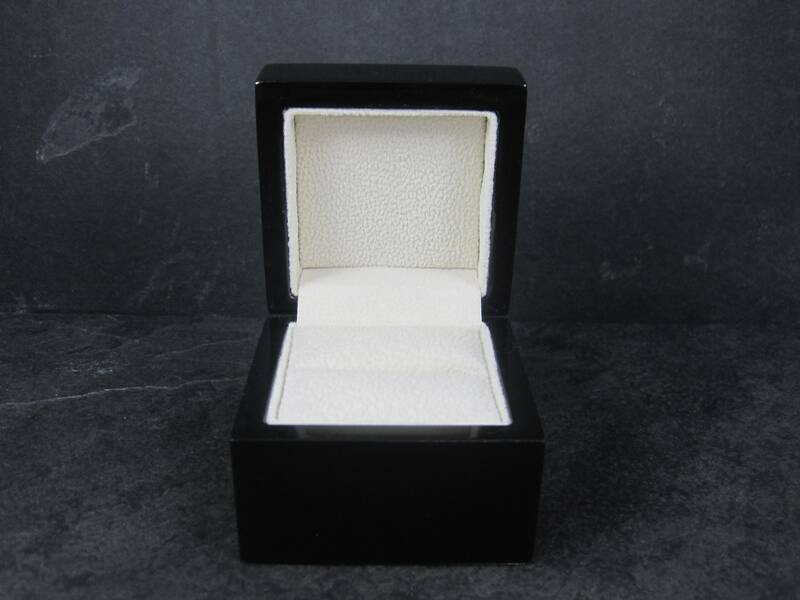 Shiny Black Wooden Ring Box with cream suede. 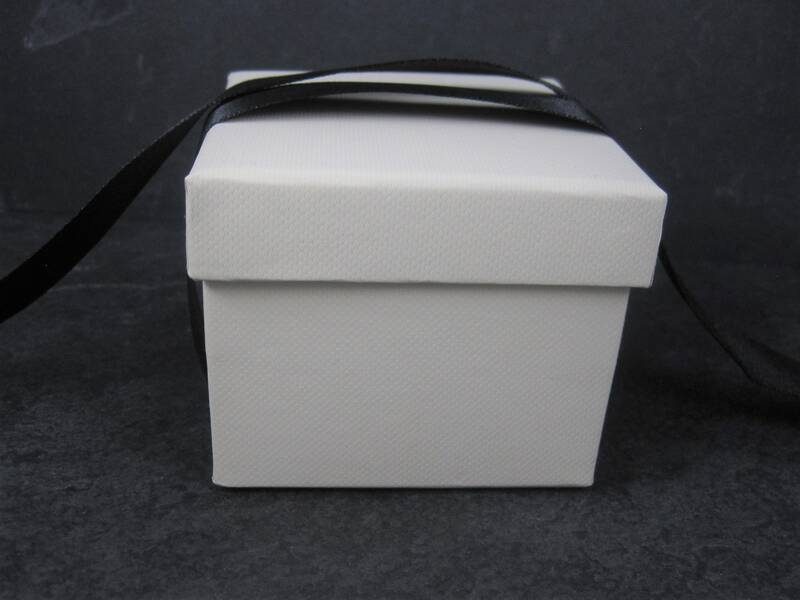 Comes with a beautiful 2 piece packer, complete with black ribbon tie. 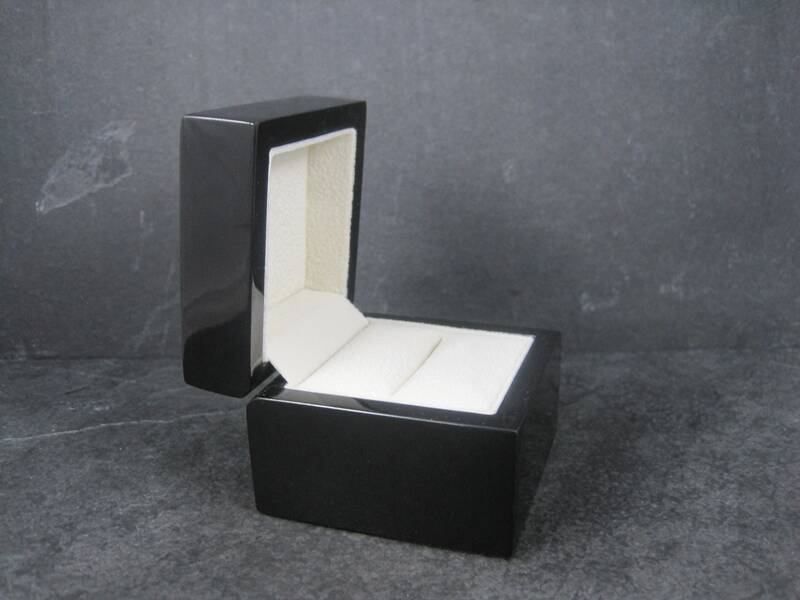 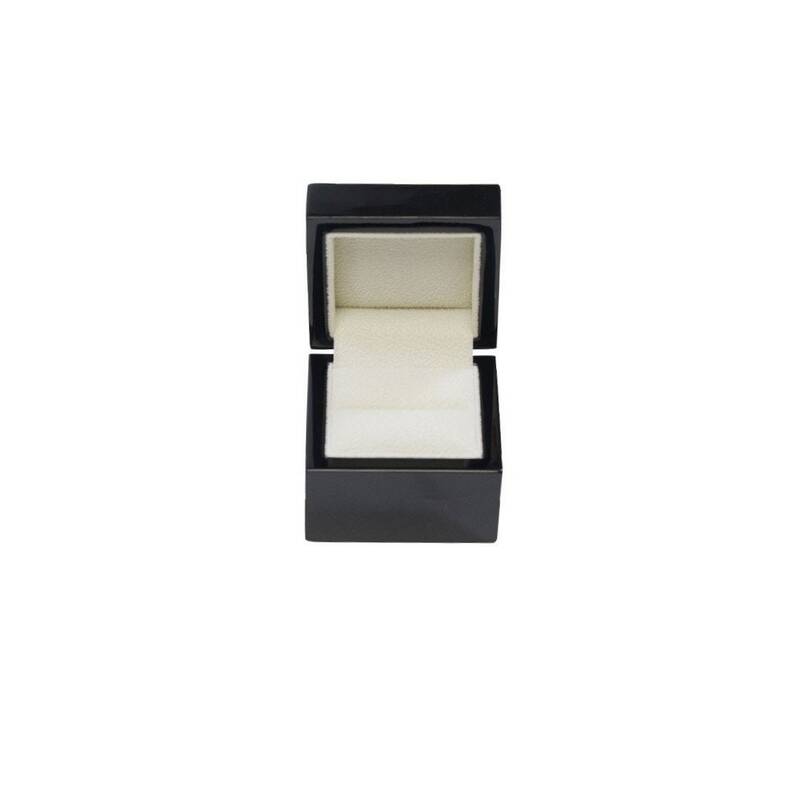 Perfect for engagement ring presentations, ring bearers, packaging and storage. 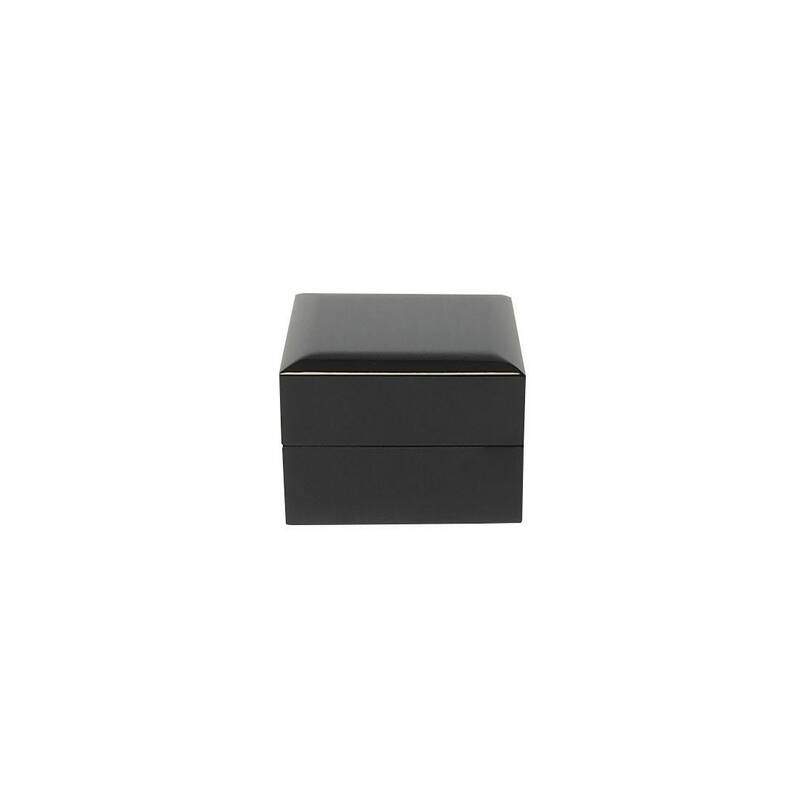 Measurements: W 2 7/10" D 2 " H 2 7/10"